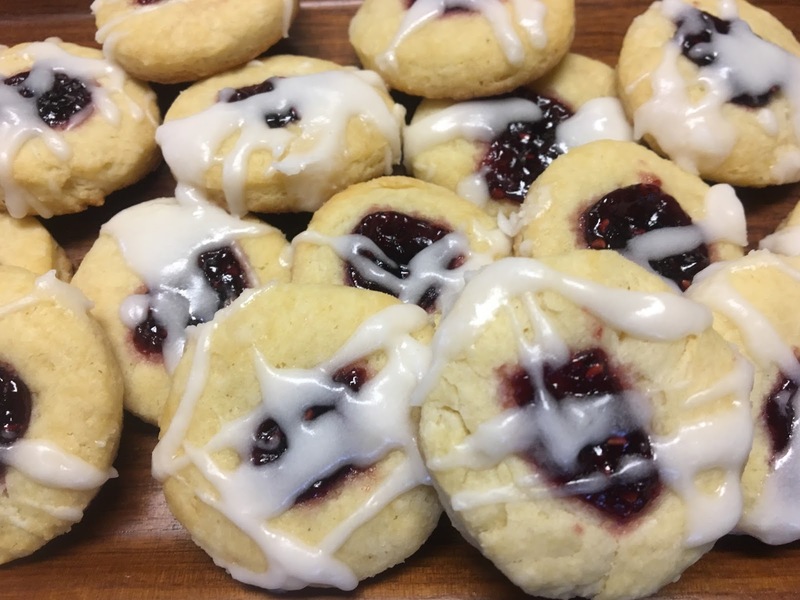 This is a yeast-based cookie recipe reminiscent of Kolache buns. Years ago I saw Martha Stewart make Kolache Cookies on her TV show and I was intrigued. They were so good that I ended up making them for Kirby House catered events and so included the recipe in The Kirby House Cookbook. Since then I’ve made just a few adjustments in the recipe so this is the latest version. 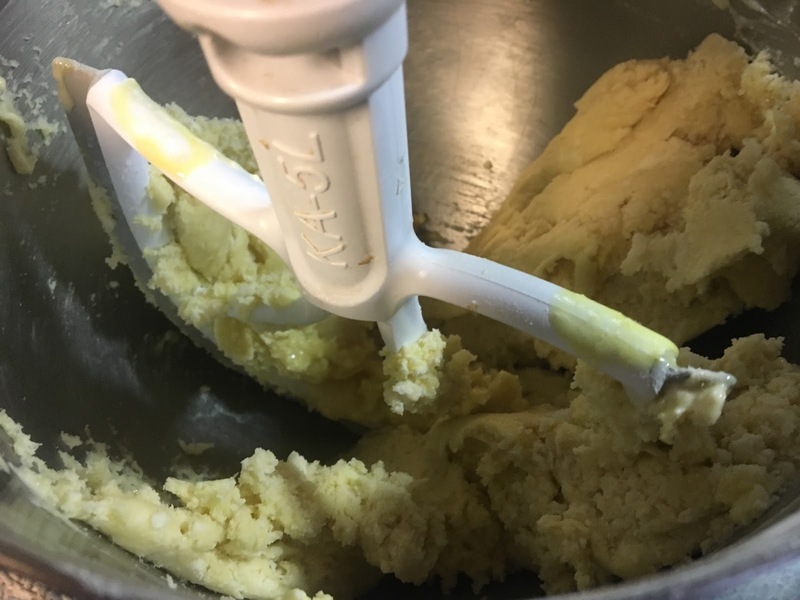 Cookies: In a small bowl, stir together yeast and sour cream. Let stand until yeast dissolves, about 10 minutes. 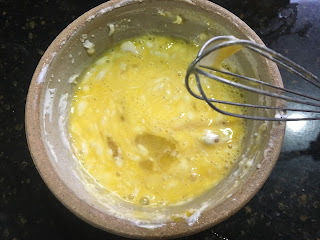 Whisk in eggs until smooth. Set aside. Above: Yeast and sour cream combined. Below: Eggs whisked into yeast mixture. 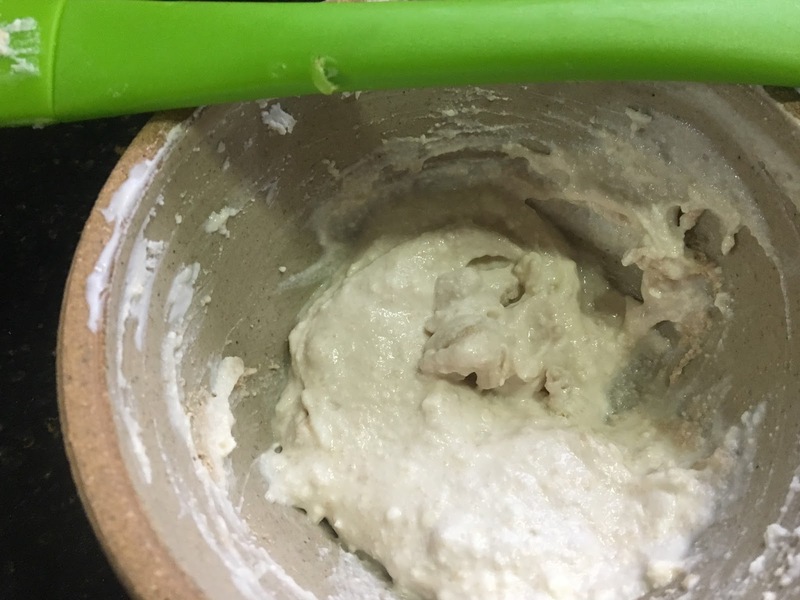 Stir in yeast mixture until dough comes together. 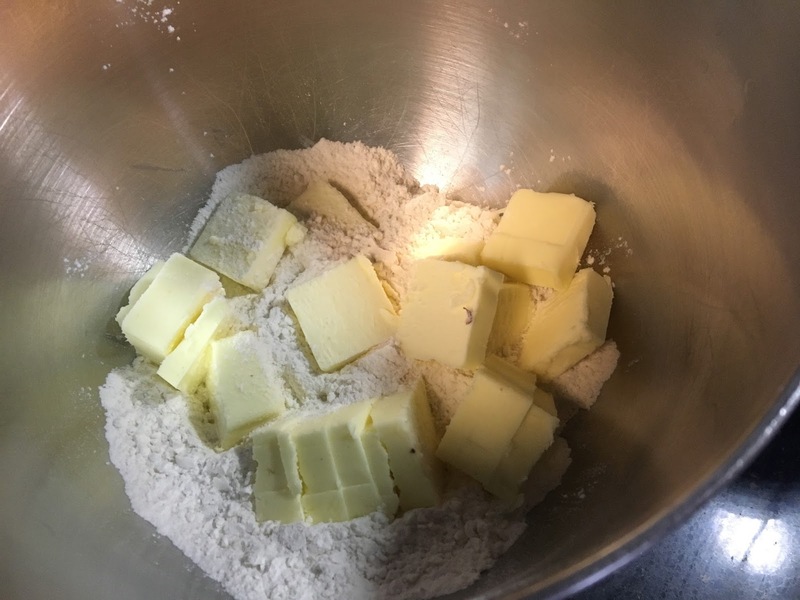 Wrap dough in plastic and flatten into a square. Refrigerate at least 30 minutes. 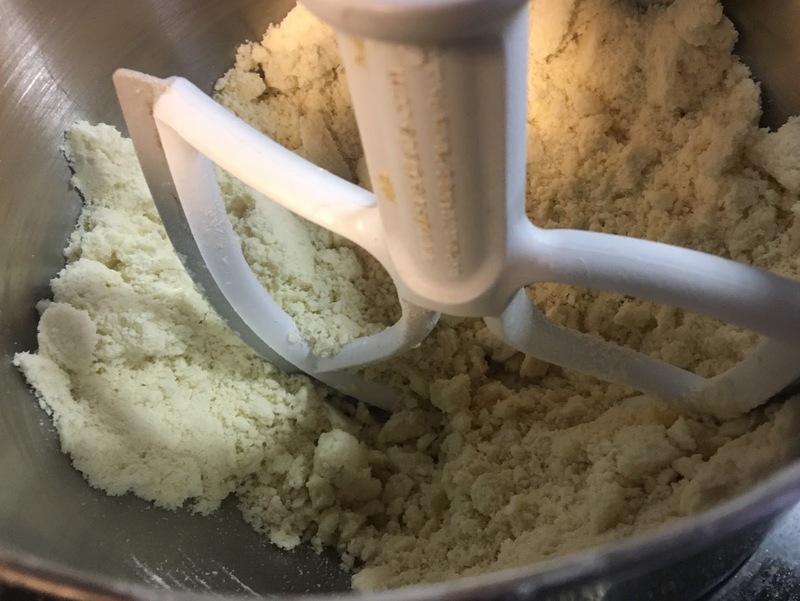 On a lightly floured surface, roll out dough 1/4-inch thick. (Note: I worked with just half of the dough at a time.) Using a 1 to 1 1/2-inch round cutter, cut out rounds. Reroll any uncut dough and continue to cut out rounds. Transfer to two parchment-lined baking sheets, spaced about 1 1/2 inches apart. Cover with a clean kitchen towel or plastic wrap. Let set for 15 minutes. Make a thumbprint in center of each cookie. Fill each thumbprint with a dollop of jam, jelly or preserves. Glaze: In a medium bowl, whisk together powdered sugar and butter. While whisking, drizzle in milk, a little at a time, until glaze has a runny consistency. Using a spoon, drizzle glaze over cookies. (Note: I placed a sheet of waxed paper under cooling rack to catch the drips.) Let stand until set, about 1 hour. Glazed cookies can be stored in an airtight container at room temperature up to 2 days.